What you will need are two bowls – one for wet (large) and one for dry (small) ingredients. 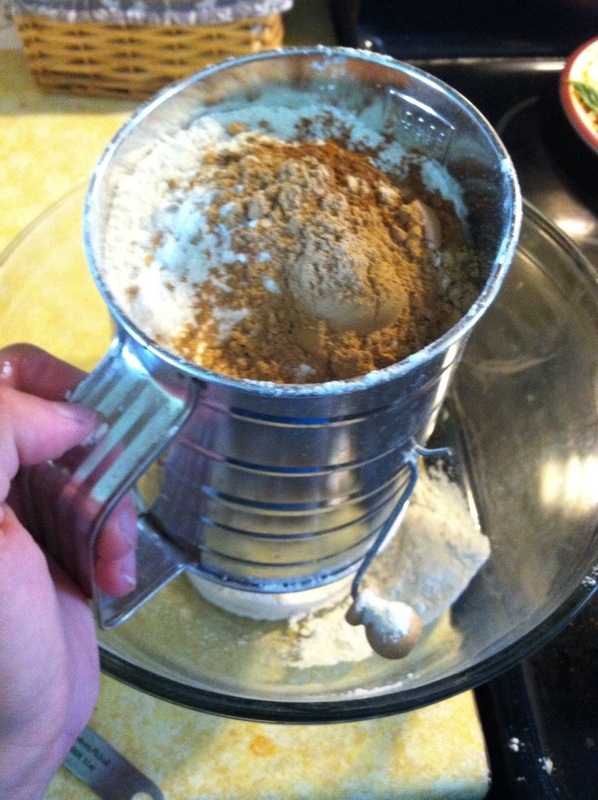 Sift flour, salt, baking soda, baking powder, ginger, cinnamon, and nutmeg together and stir. Add in ground flax seed and mix together. 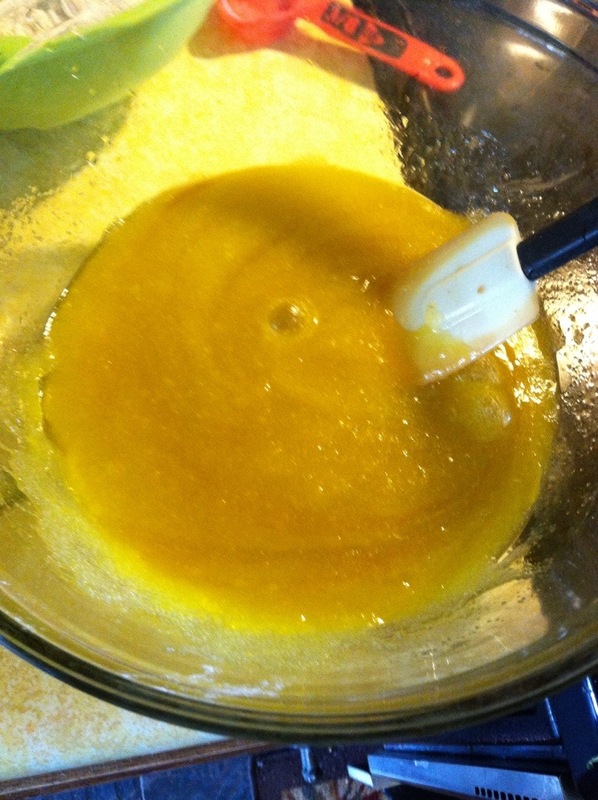 In the large bowl, beat eggs, olive oil, and sugar. Mix in the flour mixture until combined. 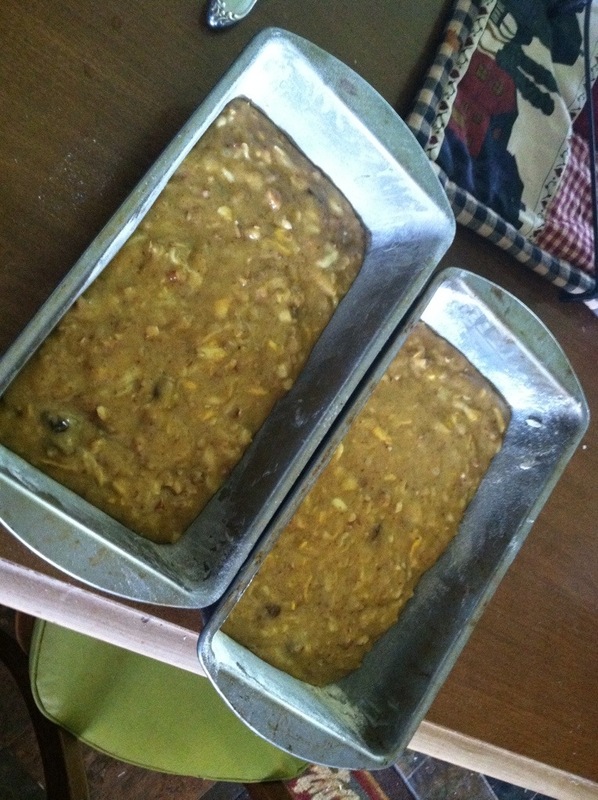 Stir in yellow squash, nuts, and raisins. Pour into loaf pans and bake! 1. 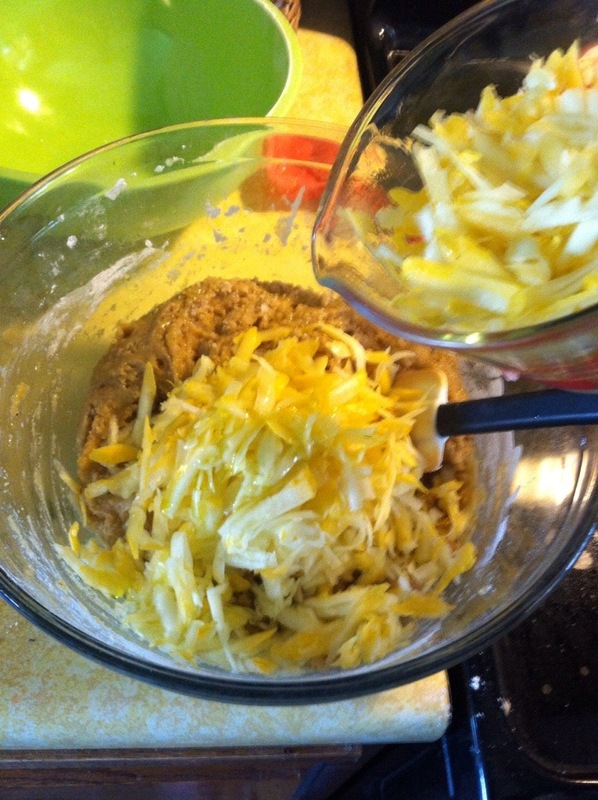 Grease with butter and flour two 8″x4″ loaf pans. Preheat oven to 325 degrees. 2. Sift flour, salt, baking soda, baking powder, ginger, cinnamon, and nutmeg into a medium bowl. Mix in flax seed. 3. In a large bowl, beat eggs, olive oil, and sugar. Mix in flour mixture until combined. Stir in yellow squash and pecans. Pour into pans. 4. Bake 40-60 minutes, or until toothpick comes out clean. Cool in pans for 15 minutes and transfer to cooling racks. Eat slightly warmed with butter or completely cooled. Posted on June 20, 2014 September 26, 2016 by MichellePosted in RecipesTagged bread, breads, sweet breads, yellow squash, yellow squash bread.